This import desktop data page is more instructional guidance only but it’s highly recommended that you read it all before importing data. To actually import desktop data to QuickBooks Online file, you will start from the QuickBooks desktop software. Open the QuickBooks desktop file. 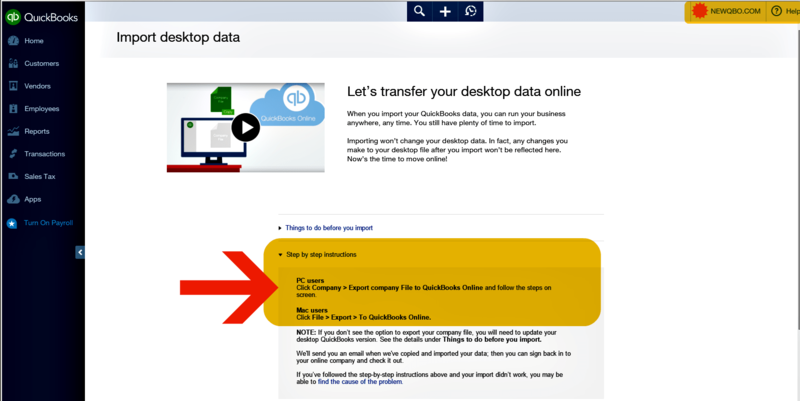 For PC users > Click Company > Export company File to QuickBooks Online and follow the steps on screen. Like any software conversion, this is also not a seamless process. QBO do not provide with any guidance regarding any necessary steps to take for advanced preparation. It is always bound for unexpected surprise after converted to QBO. At that point, it’s too late. Although the list could be a lengthy one, depending upon the size and business nature of company file and data. I would recommend at least taking few steps here before the conversion. Just few. Batch delete is not a choice option in QBO. Expect unexpected. 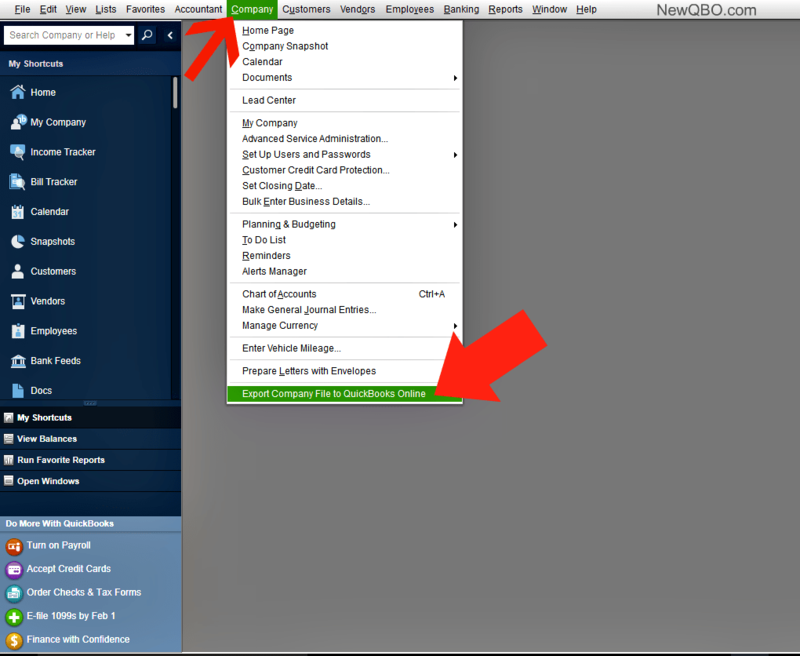 There is no going back from QBO to desktop again (despite whatever they claim). Yes, fingers crossed for a smooth transition. Right way to put it!